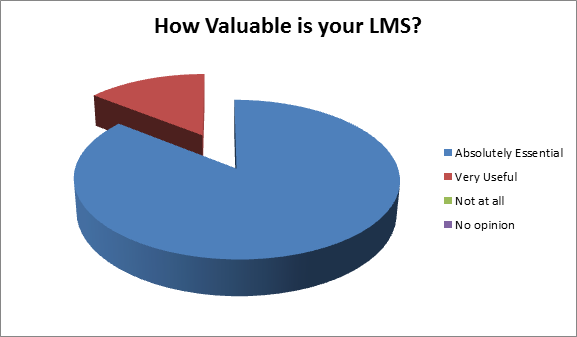 Implementing an LMS? Here’s My Top Ten things to consider! – Security standards – you will need to consider the standards for passwords, access controls, data security and much more. And don’t forget to consider the Data Protection issues that may arise from your decision on where the LMS is hosted! Understand the business requirement – and meet it! There’s nothing worse than deploying a big-ticket system and finding that it doesn’t actually do what your business needs! Requirements gathering up front is one of the most important tasks and must go beyond what the L&D or Compliance teams want to do. All successful implementations have a clear link to meeting the needs of the business. Seems rather obvious I know but trying to mandate a central decision for an LMS into a business that isn’t bought into the idea is also a recipe for failure! Make sure you have budget to train your own implementation team – they need to know how to configure the LMS, especially the UI. One of the most important things you can do is invest in training – something that is not always done. Understanding how you can change the User Interface yourself will pay dividends later on and also, save you a considerable amount of money! Of course, you also need to have enough people who know the system inside out and ensure that any skills you gain around the tools are transferred. You could use one of the wiki tools in your LMS to capture best practice for example. Run a proof of concept with your short listed vendors – time for them to put their money where their mouth is! This can be a serious way to discover for yourself if the tool will actually deliver what the RFP response said it would! It is also a good way to test out some of those key business needs whilst also testing compatibility with your network infrastructure. Reference visits – and seek out your own from the vendor client list. Remember, they will give you their best clients! Most vendors will have customer lists on their websites – but you can also seek out customers through your PLN’s (Personal Learning Networks) – a quick tweet may get you a reference site your vendor would prefer you didn’t meet! I once sat next to the Sponsor of a reference project at dinner. He shared with me the fact that they were considering a change of vendor due to some of the issues they were facing. Priceless! Get an active sponsor – an inactive sponsor such as CEO may seem a good idea but just wait until he leaves! (I speak from experience here!). Hearing a CEO say “It’s a no brainer” is great for the project until circumstances change. Find your Champions – people out in the business who will help you spread the message are very important and will help to establish the business relationships you will need for success. Employ an expert – if this is your first LMS, go and find someone who has both the T-Shirt and is the sequel of the Video to save some pain! Win the hearts and minds of the Training world – especially classroom trainers who may see an LMS and eLearning as a threat. (It’s not, it’s probably more career enhancing but they don’t all know that!). Get them involved by ensuring they are trained on how to use the trainer functions on the LMS. Use this as an opportunity to upskill them in how to manage on-line training activities such as asynchronous chats and discussion forums. Governance – if you are deploying an LMS cross function, country or organisation, you will need to have some kind of governance board to ensure consistency in approach for global initiatives. Trying to deploy a centrally mandated project requires buy-in from across your organisation. And remember, when implementing an LMS, if all you do is automate the chaos you already have, all you will get is very fast chaos! This entry was posted in Uncategorized and tagged LMS on February 29, 2012 by admin.